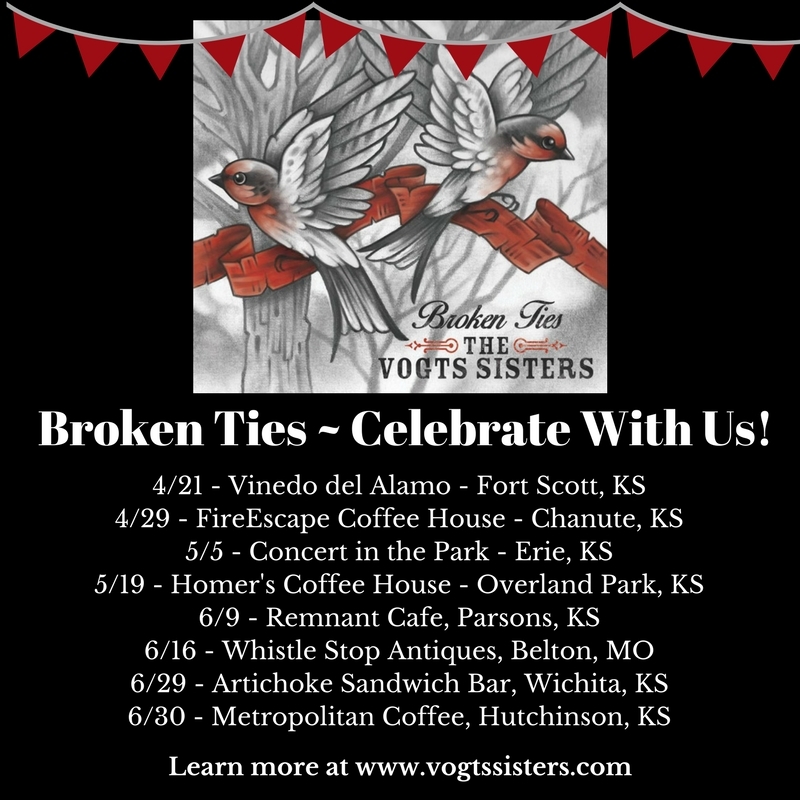 We are excited to announce the release of The Vogts Sisters 4th Album, Broken Ties. 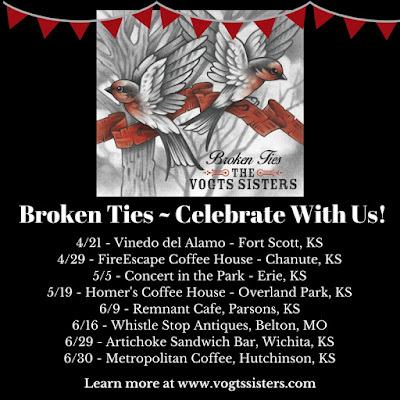 "Broken Ties gravitates toward different shades and angles of loss while exploring the range and dynamics of the Vogts Sisters’ maturing harmonies and instrumentation on mandolin, fiddle, and guitar. Their growing mastery of songwriting continues in this fourth collection of original music with award-winning title, In the Valley, which placed in the 2017 NewSong Competition at the Walnut Valley Festival." You may order it online HERE or purchase at one of their upcoming performances.